If you are looking for all inclusive wedding venue in Missouri then you’ve come to the best place! 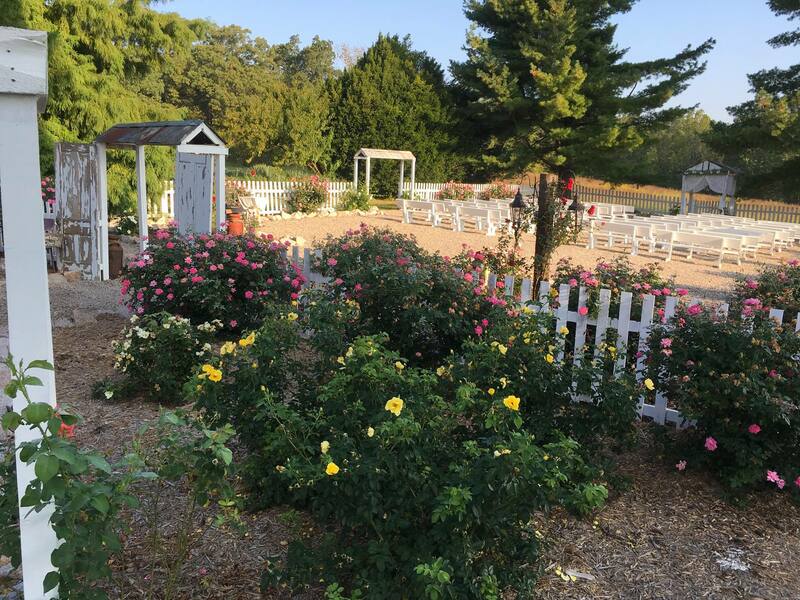 Dodson Orchards provides a complete experience for couples who are looking for an all inclusive wedding venue. This country wedding venue offers a unique wedding package designed to take the stress and work out of bringing your perfect wedding day together. Take one of the most beautiful landscapes and tie it with years of wedding planning experience, full catering services, and completely customized decor all included in one easy package and you have Dodson Orchards. Rustic Chic Decor’ – Free use of thousands of dollars of decor’. Dodson Orchards has an expansive collection of carefully curated rustic chic and vintage decor for you to choose from for your day. From tables, to oak barrels, mason jars, rose arbors, church pews, milk glass, rustic wood signage, and a whole lot more! All part of this this inclusive package! Outdoor Garden Chapel – Our new Rose Garden wedding venue is over 5000 sq. ft. of Roses set on the hillside overlooking the pastures and vineyards. This outdoor wedding chapel uses unique elements to the Ozark Highlands such as granite stone and native flowers and heirloom roses and herbs. The vintage church pews complete this country outdoor ceremony site. Indoor Ceremony Option – Don’t sweat the rain! 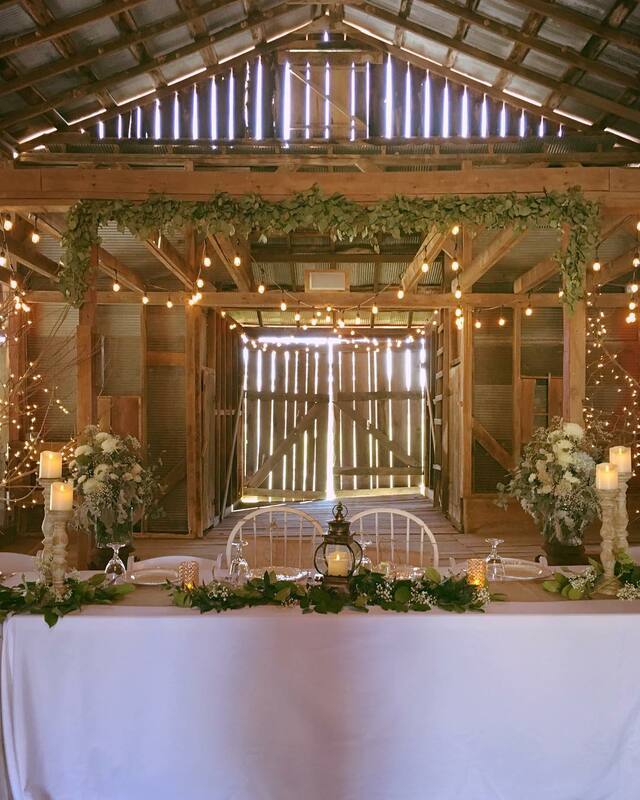 Our barn ceremonies are the stuff of fairy tale weddings rain or shine, and our staff will be ready to put the barn together for your “Plan B” ceremony at a moments notice. Professional Catering – Prepare to hear your guests tell you how much they enjoyed dinner! The food from Dodson Orchards is prepared fresh here onsite in our professional catering kitchen using only the best quality ingredients sourced first from our own gardens, then from local farmers, and other proven providers of high quality clean foods. All the foods are made fresh right here on the farm. Or menu changes from time to time and it usually has something for everyone. But we are flexible, so if you want something that isn’t on the menu just let us know and we’ll be glad to cater to your needs. In addition to that, we will provide you with all of the tableware, decor’, serving staff, and table cleaning during the event. Professional Staff – Before during and after your event, we will have staff members who are taking care of all the services provided by Dodson Orchards to ensure your day runs smooth. All the staff, cooks, wait staff, decorating, and event coordination is part of this all inclusive wedding venue. Bon Fire – Weather permitting you the option for a heart warming bonfire that we will start and tend while your guests enjoy a star filled night. Photo Sessions – All of our inclusive package customers have access to the venue for the couple and the photographer to come out and do their wedding engagement session for free. Additionally, there are numerous places for you and your wedding party to have your photos taken here on the farm the day of your wedding. Ample Free Parking – Parking is easily accessed, planned and plentiful. Additionally guests with any walking disabilities can be dropped off and picked up at the ceremony site via our new circle granite drive, and arrangements can also be made to help elderly and disabled via our John Deere Gator and helpful staff. Options – There are many additional options available for this inclusive wedding packages in Missouri that allow you to customize and tailor your wedding day to your vision.